As Captain Marvel, Carol Danvers has traveled to almost every inch of the planet - and beyond! Now she's heading somewhere uncharted! 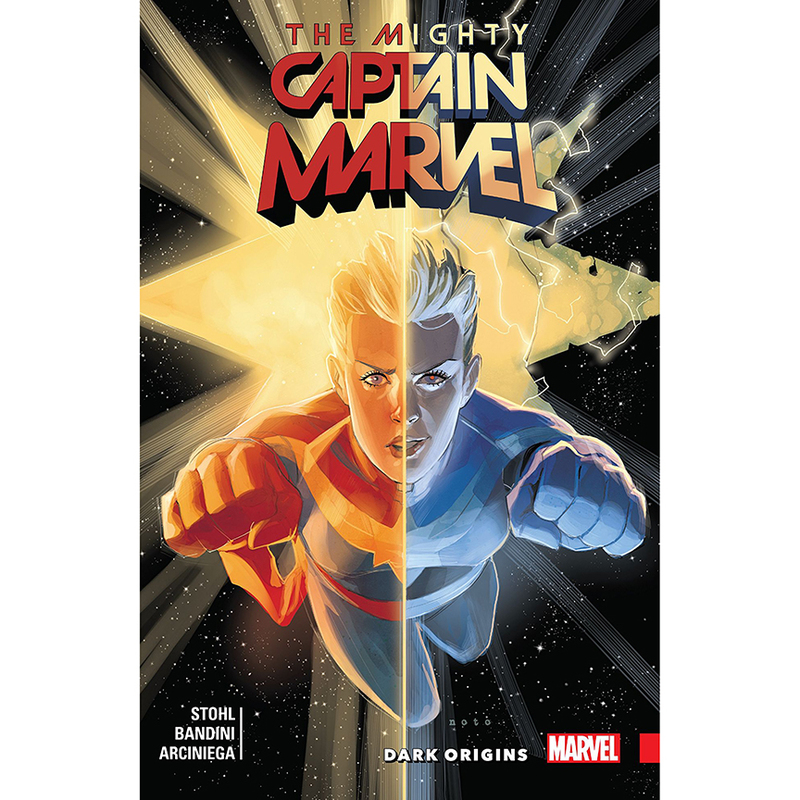 Join Carol on her new cosmic journey through the past and future, as Captain Marvel takes flight in an adventure you won't want to miss! They say you can't go home again...but what about a creepy, twisted version of your childhood home? That's where Carol finds herself - and, as the earth-shattering secrets of her Dark Origin are finally revealed, the Marvel Universe will be forever changed! You'd think a familiar face would be comforting...but this Peter Quill doesn't seem in a friendly mood. And then there's the conundrum of Zeta Flight! Carol learns the hard way that this mysterious group may have given her a bad reputation...but how does it even exist? !